Image: Stephen Depolo/Flickr. Rights: CC 2.0. The freedom of ordinary people to look after each other is fundamental to values of decency and fairness. Whistleblowing is a vital part of this and whether it is hospital workers raising the alarm over unsafe care, care home staff reporting abuse of older people, financial sector staff flagging up fraud or tech workers speaking out about stolen elections, the function of whistleblowing is to uphold the common good and to protect other people’s rights. Powerful organisations sometimes suppress whistleblowers, quite brutally. In the UK the law which is supposed to protect workers who whistleblow, the Public Interest Disclosure Act 1998 (PIDA), does not actually protect. PIDA only allows whistleblowers to sue employers for compensation after they have been seriously harmed, for example if they are unfairly dismissed. Compensation is not guaranteed and is not usually enough to reflect loss of livelihood and blacklisting. Neither does it make up for the trauma that many whistleblowers and their families experience. 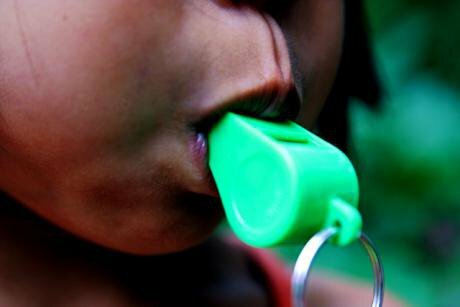 PIDA does not even ensure that whistleblowers’ concerns are properly investigated. It does not hold the individuals who cover up and victimise whistleblowers to account. PIDA cases are hard to win because of the way the law is structured and because employers usually outgun whistleblowers in court. This particularly happens in the public sector where taxpayers pick up very large legal bills for cases that are in fact fought against their interests. Far from being protected, whistleblowers are in reality vulnerable to mistreatment by overbearing employers. The weakness of UK whistleblowing law allows those who speak up in the public interest to be legally mobbed and robbed. Too many end up with broken health and insecure futures. "A major problem in relation to reprisals being taken against UK whistleblowers is that retaliators can simply pay compensation in order to get out of trouble. In some countries this matter is taken more seriously and retaliation is treated as criminal offence. While I would not anticipate that many people would be prosecuted if criminal sanctions were introduced in the UK, the possibility might deter some inappropriate behaviour and would send out a positive message about the importance of whistleblowing in a democratic society". We and other whistleblowers across all sectors believe that PIDA should be replaced. We have negotiated an event sponsored by the NHS National Freedom To Speak Up Guardian , to be held this coming 19 October, which will present expert legal evidence on the need to reform UK whistleblowing law reform. Ministers and the Law Commission, which has responsibility for reviewing inefficient and flawed law, will be invited. Barrister, will discuss a range of issues, including the need for meaningful penalties for whistleblower reprisal, the need for pro-active (or ‘pre-detriment’) protection starting from the point that workers whistleblow, and the need to compel the proper investigation of whistleblowers’ concerns. To support the case for law reform, and to inform this event, we will shortly invite whistleblowers from all sectors with experience of using PIDA to submit written evidence. All such first-hand accounts will be very valuable in driving improvements. Any whistleblowers who want to register interest in the project and to be kept informed about the forthcoming call for evidence can contact us here. Some outline information for whistleblowers about the project can be found here.